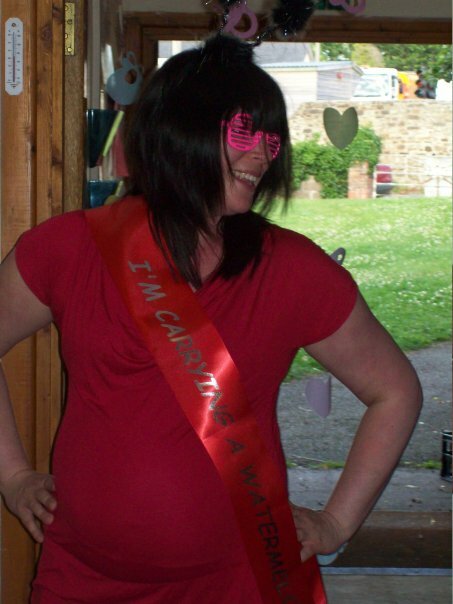 When I was pregnant with my first child, my friends and former work colleagues arranged a surprise baby shower for me. It was completely and utterly a total surprise and shock to see so many of my lovely friends gathered in one place to celebrate the imminent arrival of my baby. It is hard to believe that was almost 6 years ago now! Up until my own one, I had only ever heard about baby showers on American sitcoms like Friends and SATC, and believed it to be an American tradition.I was blown away by the generosity of my guests and when I got home that night and opened all my gifts for the baby boy, I ended up with so many useful and practical items. 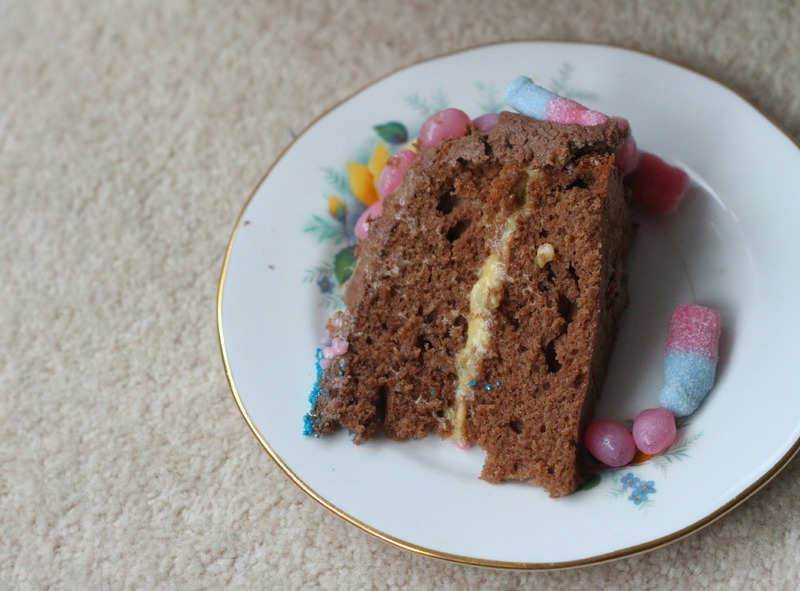 From baby gros to sleepsuits and little outfits, to nappies, bathtime and changing products to cuddly toys and books, the baby shower had given me everything I needed for the first few months had been taken care of! 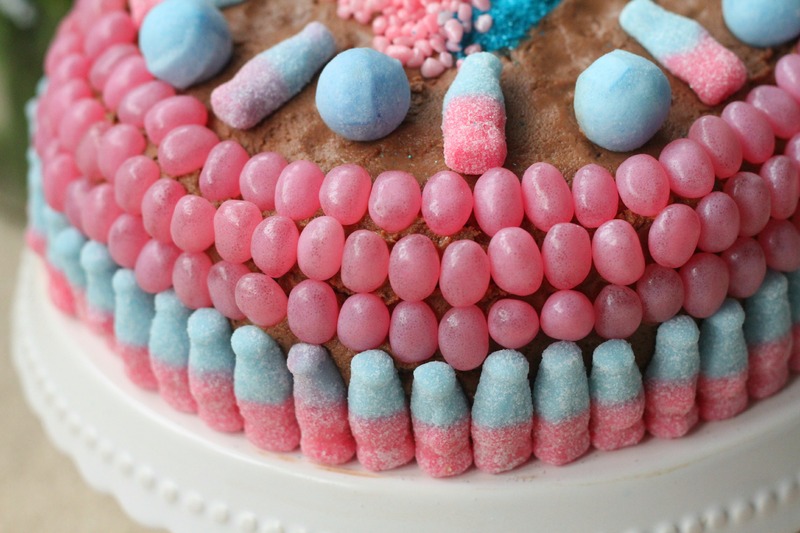 I then covered the entire cake with a chocolate frosting and then decorated it with bubblegum flavoured fizzy bottles and gourmet pink jelly beans. 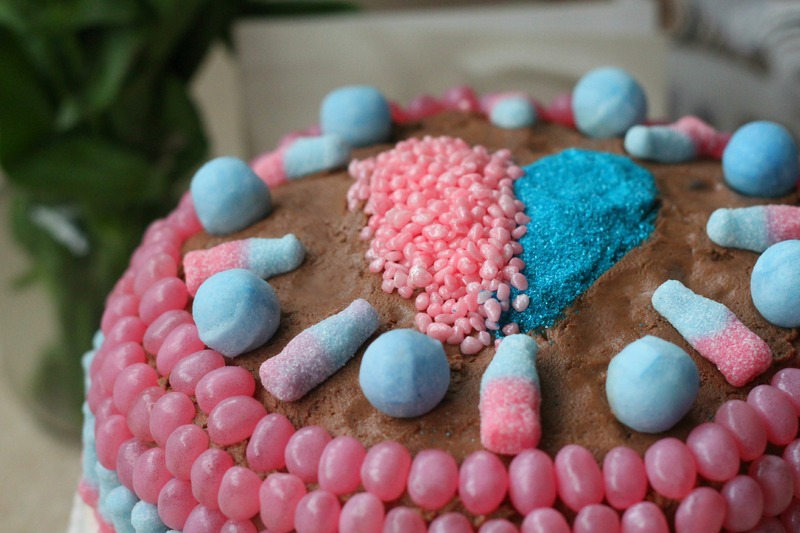 To the top I added some blue-raspberry radioactive sour sweets and made a heart using edible blue glitter and pink shimmer shards. 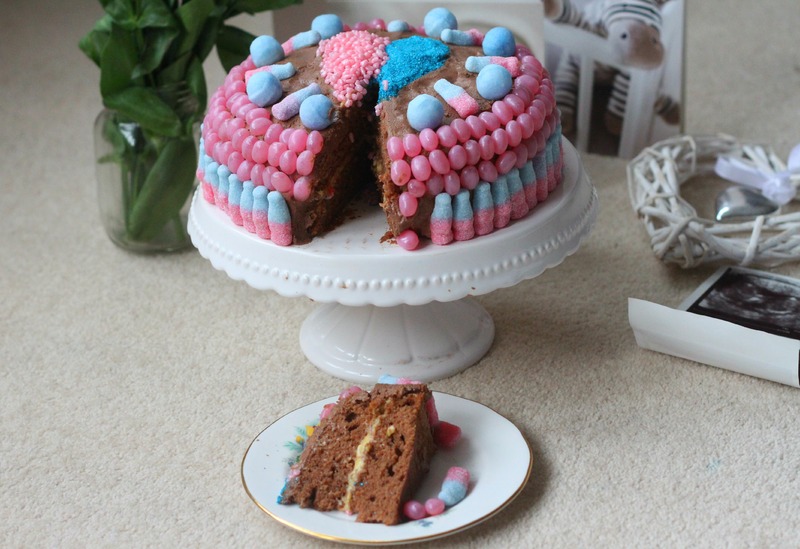 This is the sort of cake which I would happily have scoffed at my baby shower!! Then add the sweets as per my photo - taking your time! 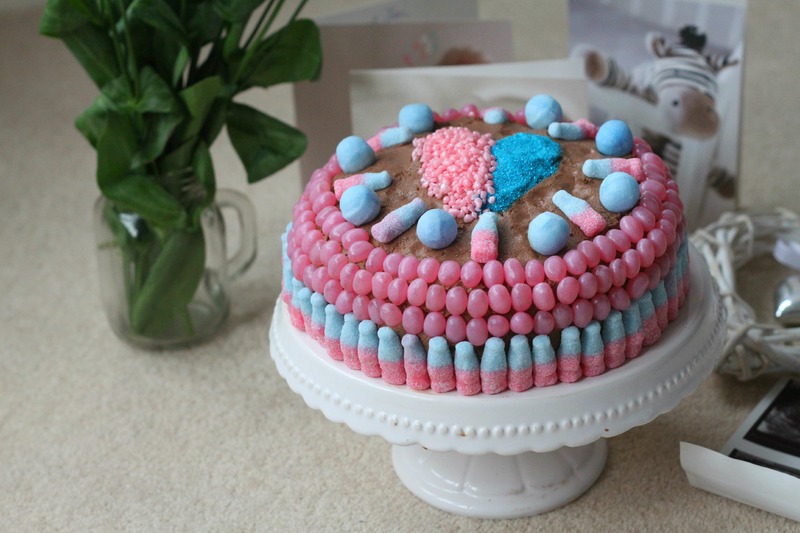 This cake was delicious – a fabulous cake for those chocolate loving, sweet loving pregnant, and non pregnant, ladies out there!! 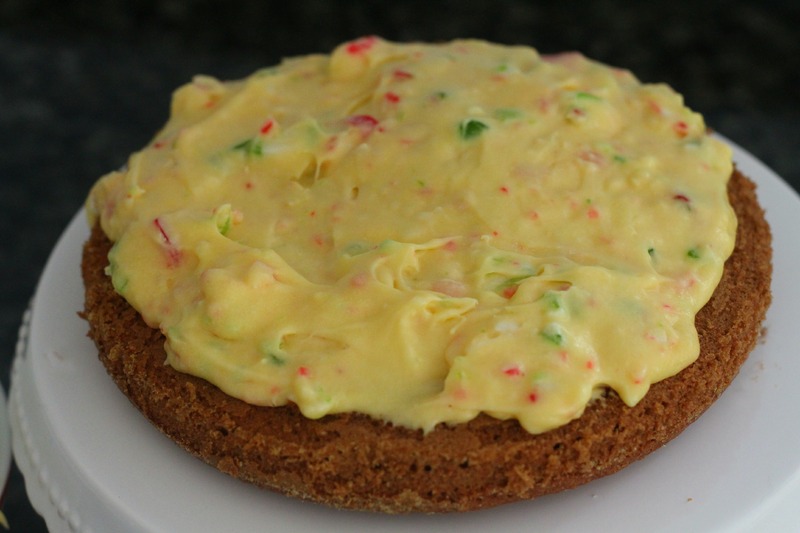 This cake would serve a lot of people as you would not want too much at once! The radioactive sours were very sour and made me and the boys and their daddy pull the funniest faces, and I was the only one who ate a whole one! If you used these sweets, they would certainly act as an ice breaker to get guests giggling at one another! 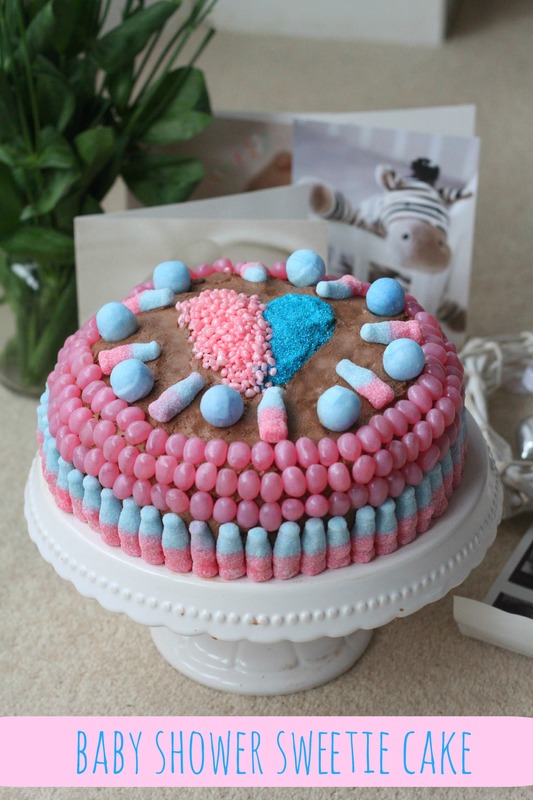 This baby shower sweetie cake would have gone down well at my baby shower .I will never forget the kindness and generosity of those who organised and attended my first and last baby shower. It still makes me smile and feel all fuzzy inside whenever I think back to that Saturday night in July 2009. I was sent a selection of sweets from The Treat Kitchen for the purpose of a review. 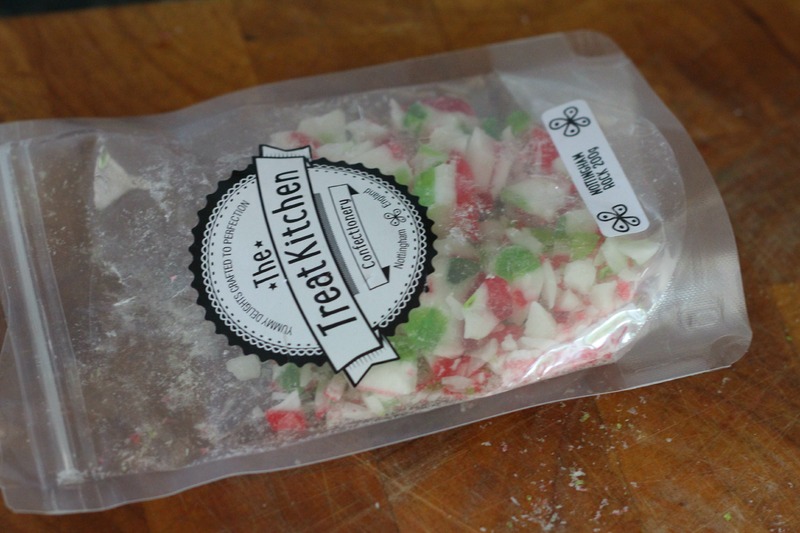 **If use the code MISHAP10 when purchasing sweets from The Treat Kitchen, you will receive 10% off our online store. This code can’t be used with any other offer. Oh my that looks really good! 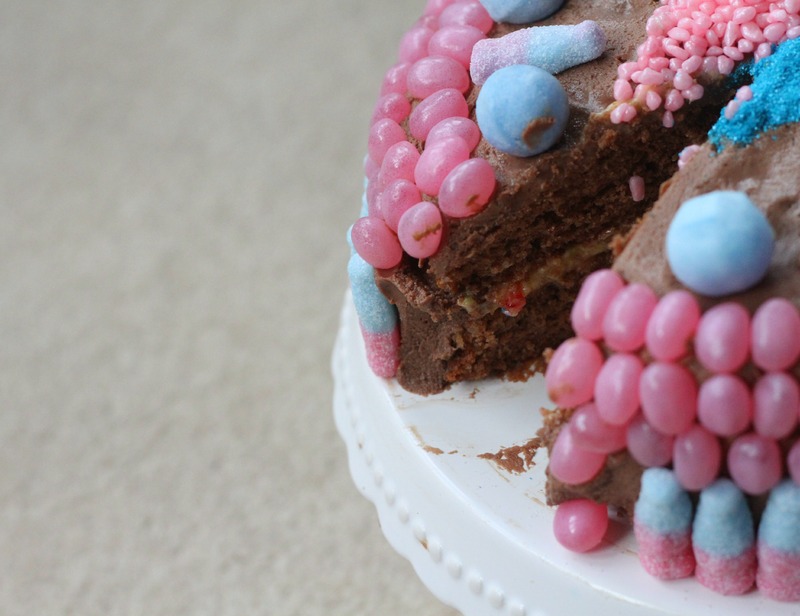 Okay, so that looks like you had the best baby shower! Glad you had one (6 years ago) and had a blast. This sponge cake looks so delicious. I’d be there right with you making funny faces because of the sour candies!